Jag Puttanna is the Founder & CEO of EmpInfo. He believes that problems are nothing but an opportunity to innovate. He is passionate about finding solutions and inspire people to join his vision in solving challenges that makes a difference to customer’s core business. Founded EmpInfo with a similar vision to leverage modern technology to solve a simple problem that he identified in every organization of all sizes. Prior to EmpInfo, Jag was the founder and CEO of XTRON, a successful and profitable IT service organization specialized in implementing enterprise applications. He developed business relationships with Fortune 500 customers and strategic partnerships with Oracle, TIBCO, Interwoven, Fujitsu, iPhrase, iManage, MediaBin, IBM, and NEC. Prior to XTRON, he worked as an independent Consultant at Black & Veatch and also as a Structural Engineer at Advent Engineering. Jag holds a BS in engineering from Bangalore University, a MS in structural engineering from University of Nevada-Reno and a Professional Engineer license in the state of CA. Glenn Phillips is the Architect at EmpInfo. As a Lead Architect and Technical Visionary, he has 15+ years of experience in building enterprise scale solutions for Fortune 500 in the transportation, retail, and hospitality industry. Most recently Mr. Phillips served as the Lead Architect and Technical Visionary for the Caesar’s Entertainment Innovation team where he led the successful delivery of many, high-profile products to a consumer base of millions of Caesars’ customers, while also succesfully leveraging platforms such as Microsoft Surface, SalesForce.com, Apple and Android mobile, Cisco media, Bally’s, and IGT gaming. 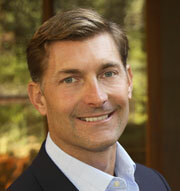 Gary Swart is a General Partner at Polaris Partners. 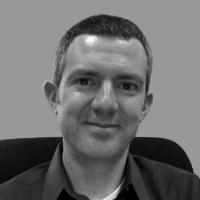 He represents Polaris on the boards of Quantcast, SimplyInsured, FloQast, Falkonry, Voi, and Qstream. He also served on the board of CliQr (Cisco). Previously, Gary was the CEO of oDesk (now UpWork), the world’s largest online workplace with more than three million clients and twelve million freelancers. Gary guided the company to industry leadership and through a merger with Elance, while serving as a leading voice for the future of work and the emerging online work industry. Gary joined IBM through the acquisition of Rational Software where he ran Western Field Operations and held a number of other senior management positions, including Americas Medium Business Leader, Area Manager, District Manager, and Director of Telesales. Prior to Rational Gary held a number of sales, management, and leadership positions with Pure Software, subsequently Pure-Atria, which previously merged with Rational. Gary serves as a thought leader on marketplaces, sales leadership, the future of work, how best to hire and manage teams, and on the rise of the “freelance economy.” He has spoken at the Inc. Leadership Conference, The Economist’s Ideas Economy Panel, SXSW, TechCrunch 50, and at HBS – which teaches a case study on oDesk. His commentary has appeared in a variety of publications including LinkedIn, Forbes, TechCrunch, The Washington Post and The Next Web. And he’s appeared on TV and radio outlets, including CNBC, BBC, Bloomberg TV, National Public Radio, Startups Uncensored, NPR, and the Fox Business Network. In addition, Gary is a faculty member at the Alchemist Academy and a StartX Mentor. Evan Wittenberg is the SVP of People at Box, a public cloud content management software company with ~1500 employees in 14 countries. As Box’s chief people officer he is responsible for finding, growing and keeping the company’s world-class talent and maintaining it’s distinct culture during this period of hyper-growth.Specific functional responsibilities include recruiting, learning and development,org. design, performance management, people operations, and total rewards.Prior to joining Box, Evan was Hewlett-Packard’s Chief Talent Officer, where he was responsible for the largest technology company in the world’s diverse global talent. Specific responsibilities included executive recruiting, talent management,career development, performance management, diversity and inclusion, executive and leadership development, and talent data sciences.Previously Evan spent four years as Head of Global Leadership Development at Google. He created and grew the function and was responsible for leadership development globally and cross-functionally, leading a team that built a variety of programs, courses and development opportunities for Googlers to improve their leadership mindset, skills and behaviors, and enable the company’s rapid growth and groundbreaking innovation. Before Google, Evan was the Director of the Graduate Leadership Program at the Wharton School, University of Pennsylvania. In this role he was responsible for all of the leadership development activities for the school’s 1,600 M.B.A.s, taught the core course in Leadership and Teamwork, and ran the school’s outdoor experiential leadership learning program, the Wharton Leadership Ventures. He was also the Associate Director of the school’s Center for Leadership and Change Management. Evan received his BA with Distinction in Psychology and English Literature from Swarthmore College, and his M.B.A. with Honors from the Wharton School,specializing in Strategic Change Management. Shreesha Ramdas is the CEO and co-founder of Strikedeck, a customer success company. Previously, Shreesha was the GM of the Marketing Cloud at CallidusCloud. Shreesha co-founded LeadFormix (acquired by CallidusCloud) and OuterJoin, and was General Manager at Yodlee. Before that, Shreesha lead teams in Sales and Marketing at Catalytic Software, MW2 consulting, and Tata. 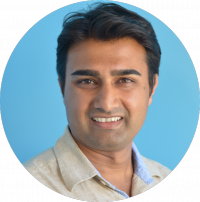 Shreesha is currently an advisor to Workato, Dxcontinuum and ObeoHealth. 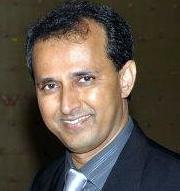 Mr. Ramdas has a Bachelor of Engineering in computer science and an MBA in marketing and systems. B.V. Jagadeesh is a successful serial entrepreneur in technology field, Venture Capitalist and a philanthropist. 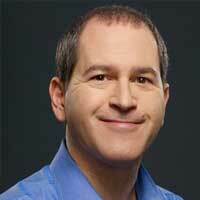 He co-founded and was CTO of Exodus communications in 1993 that pioneered the concept of Internet data centers. He was instrumental in successful IPO of Exodus in 1998. 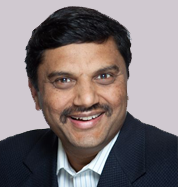 Jagadeesh seed funded NetScaler and became President and CEO in 2000. NetScaler was successfully sold to Citrix for $325M and Jagadeesh served as Group VP and GM for Citrix application networking division. Jagadeesh has served as CEO and President for 3Leaf Systems. Currently Jagadeesh is a Managing Partner at KAAJ Ventures. His investments include Ocarina Networks, Ankeena Networks, Netmagic Solutions Edurite, ScaleArc, Nutanix and Whodini. He is focusing on both India and US based entrepreneurs. He also worked in Senior positions at 3Com and Novel before founding Exodus. 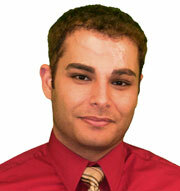 Jayson is the Vice President of Strategy and Industry Relations at Ceridian. In addition to his marketing expertise of HR technology, Jayson is a true thought leader with deep relationships in the human capital management (HCM) space both vendors and end-users. Prior to joining Ceridian, he was the lead analyst covering core HR, Workforce Management and Outsourcing at the HCM practice of Boston-based Aberdeen Group. During his tenure, he wrote and published over 100 research papers and benchmark reports. Before Aberdeen, Jayson helped develop and launch a suite of self-service retirement benefit tools at Fidelity Investments. In addition to his research, he continues to blog, speak at HR events, and contributes to leading HR and industry leading publications such as The Economist, CIO, Huffington Post, HR Executive, HRO Today, PayTech, Talent Management, and Workforce Management magazines. Jayson also gives lectures about HR issues and technology to graduate and undergraduate students at universities and colleges, including University of Massachusetts and NYU. Jayson has a BS degree in Business Administration, with a minor in Economics, from the University of New Hampshire, and a MBA from the McCallum Graduate School of Business at Bentley University. Poornaprajna Udupi is currently managing the security program for Lyra Health as its Chief Information Security Officer. Poorna is also an entrepreneur in the user-centric IT space and founded BitPlanet enabling companies to organize and connect disparate sources of corporate data, create responsive user experiences across mobile, desktop and kiosk platforms. Previously, he lead a world-class team of engineers responsible for product and application security at Netflix. He also worked as in an individual contributor role designing and developing highly scalable, multi-tier, web systems primarily in the areas of cloud security and API platform development at Netflix. Poorna holds a BS in Computer Engineering from NIT, Surat; MS in Computer Science from University of California, San Diego and an Advanced Computer Security Professional Certificate from Stanford University.